This Kershaw Ken Onion Baby Boa, model 1585BR, has a 440A high polished stainless steel blade. This knife also features the famous Speed Safe Ken Onion design. 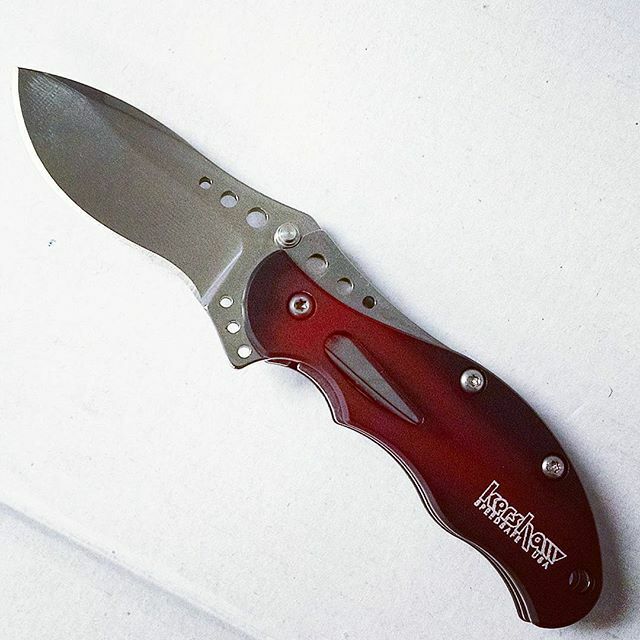 The red and black smoked handle is made from 6061-T6 anodized aluminum. The closed length of this Kershaw knife is 2.75 inches, and the blade is 2 inches long. The overall weight is 1.7 oz.